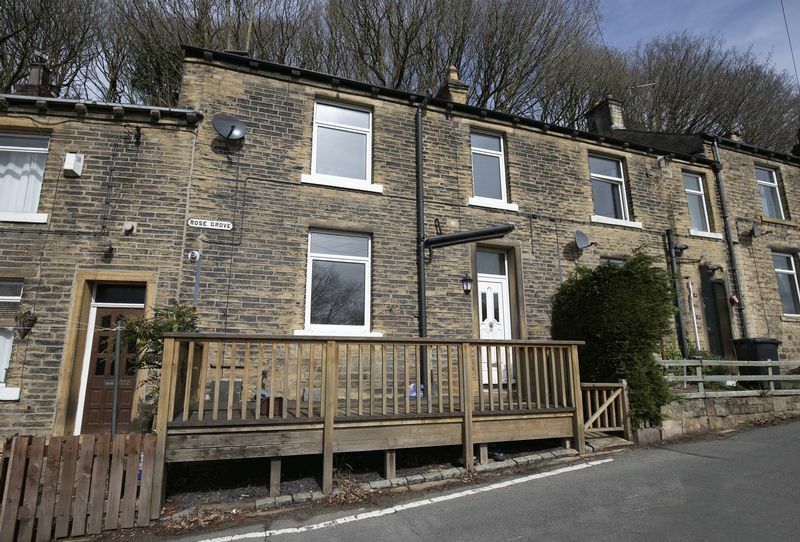 Conveniently located between Sowerby Bridge and Luddendenfoot, this terraced cottage offers a quiet location with a decked area to the front and rear garden space. 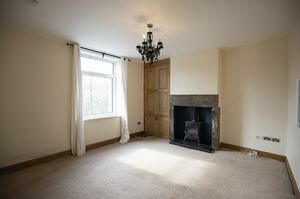 Sitting room with solid fuel stove and original cupboards built in to one alcove. Kitchen with solid timber worktops, Belfast sink, four ring gas hob and electric oven below. 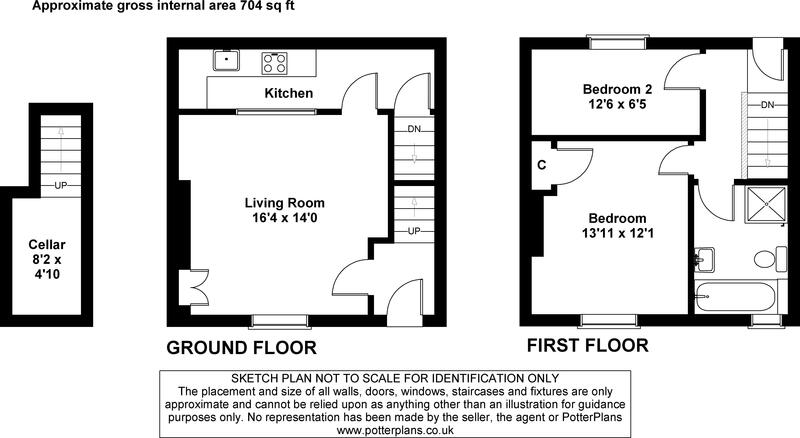 Space for fridge freezer and plumbing for washing machine. 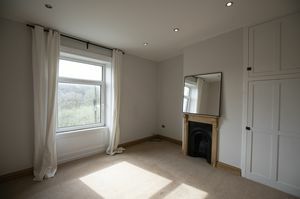 Bedroom 1 with window to the front elevation with woodland views, feature cast iron fireplace and built-in wardrobe. 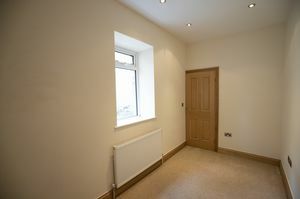 Bedroom 2 located to the rear. 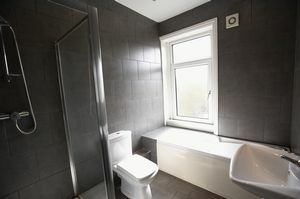 Bathroom housing a four-piece suite comprising WC, wash hand basin, shower cubicle and bath. Outside, there is a decked garden to the front of the property with space for parking across the lane. To the rear, steps from the landing lead to a small garden area. The property is conveniently located for Sowerby Bridge and its wide range of amenities including shops, pubs and restaurants, health centre, post office and supermarket. There is a mainline railway station to Manchester and Leeds and the M62 is within close distance, allowing speedy access to the motorway network. Gas central heating. All mains services. 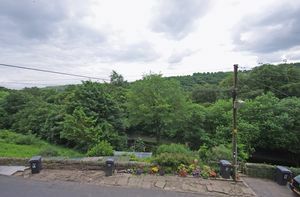 From Ripponden take the Halifax Road to Sowerby Bridge. Continue under the bridge and take the next left into Hollins Mill Lane. Continue along this road, turning left at the T junction and then following the road around to the left. 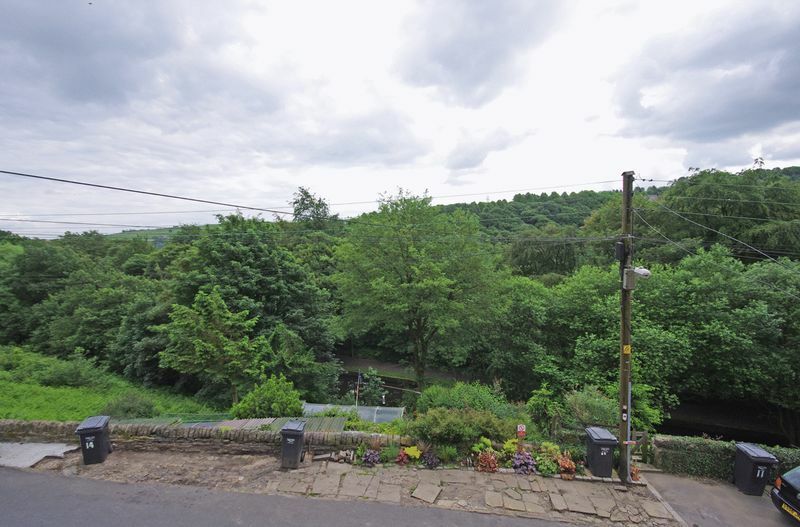 The property can be found on the right hand side, identified by our sale board. We are ARLA Propertymark Protected agents, members of ARLA Propertymark Client Money Protection Scheme (CMP) and The Property Ombudsman (TPO). A good-sized entrance vestibule with a stone flagged floor and staircase leading to the first floor landing. A well-proportioned reception room with a window to the front elevation, opening to chimney breast housing a solid fuel stove and original cupboards built in to one alcove. 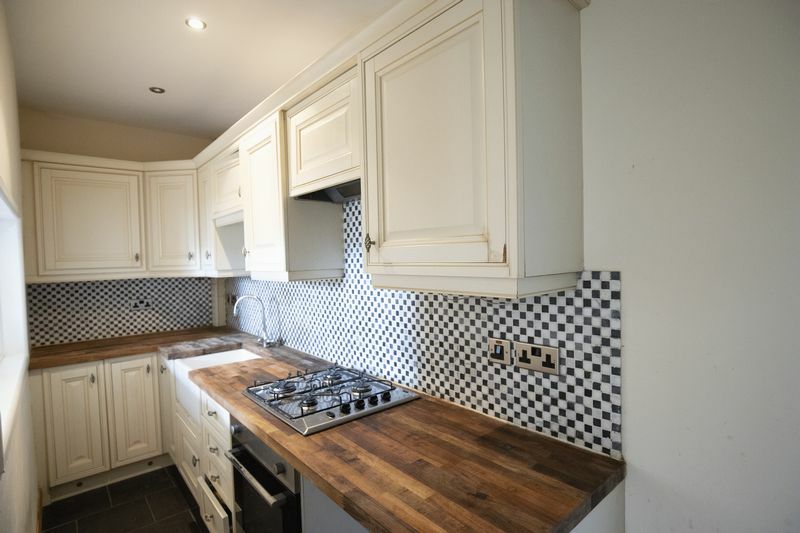 Housing a range of wall and base units with solid timber tops, Belfast sink, four-ring gas hob with electric oven below and extractor hood above, plumbing for a washing machine and space for a fridge freezer. A door gives access to cellar. 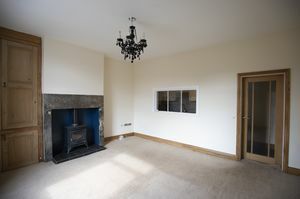 Providing useful storage space with power and light. 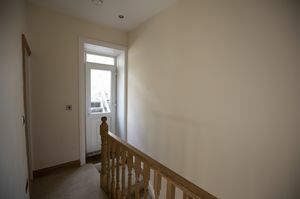 Access to the loft and external door giving access to the rear garden. Having a window to the front elevation with woodland views, feature cast iron fireplace and built-in wardrobe. The fully tiled bathroom houses a four-piece suite comprising WC, pedestal wash hand basin, shower cubicle and bath. There is an obscure glazed window to the front elevation and a heated towel radiator.